Tiger Maple has a distinctive wavy or curly pattern that resembles the stripes of a tiger. 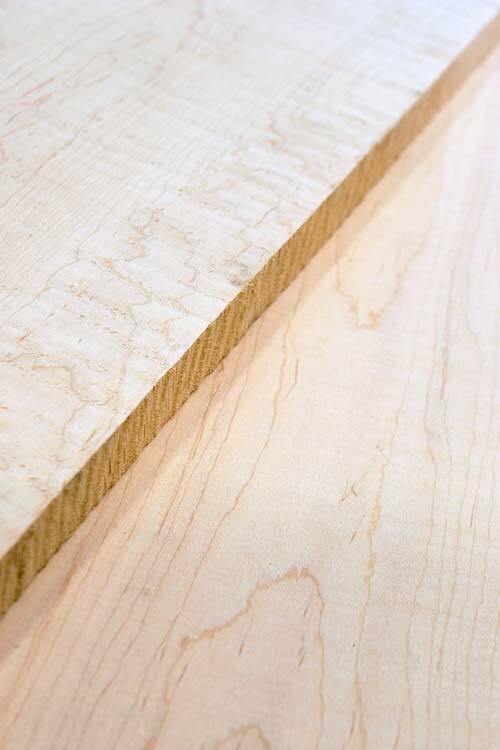 Figured Tiger Maple Lumber Pack | 10bf | 25bf – You can specify widths & lengths in the order notes. Please use our board foot calculator to see what sizes fits within your request. Tiger Maple has a distinctive wavy or curly pattern that resembles the stripes of a tiger. Sapwood color ranges from almost white, to a light golden or reddish brown, while the heartwood is a darker reddish brown. The principal use of Tiger Maple is for cabinetry, furniture, interior trim, flooring, boxes, crates/pallets, musical instruments, turned objects, and other small specialty wood items. Available in 8 foot up to 16 foot in widths from 4 inches to 12 inches and wider. Lengths are anywhere from 6 feet to 16 feet although for shipping UPS requires all boards to be 8′ or less.